“The APC has adopted Hon. 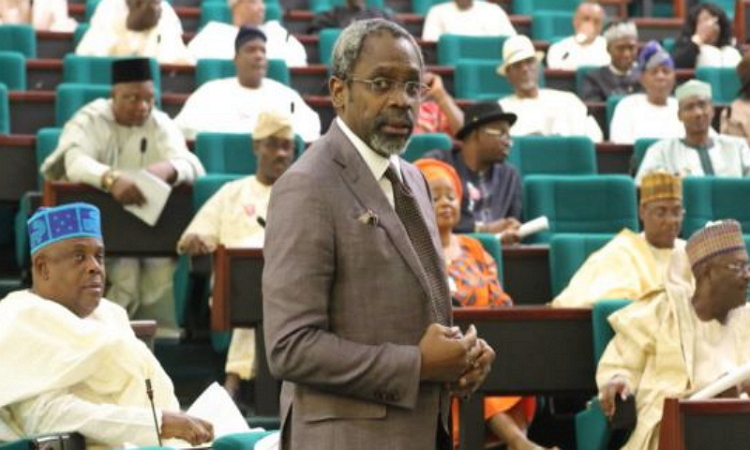 Femi Gbajabiamila, as its candidate for the position of the speaker of the House of Representatives in the Ninth Assembly. “The Deputy Speaker’s position has been zoned to the Northcentral,” APC spokesman, Lanre Issa Onilu said in a statement. Adesina said: “90-95 per cent of them are in unison, seem to agree on the position of the party..unanimity ran through the meeting. We cannot speak for five per cent. He said that the APC has about 223 members-elect out of the 360 House members and that 67 were re-elected for the ninth assembly, adding that there was no room for a coalition with the opposition as the ruling APC has two-third to carry out any legislative business including amendment of the constitution. According to him “Mr President on your behalf we have had a meeting, the NWC with the new members of the House of Representative-elect who are yet to be sworn in and later they were joined by the re-elected members. And so we had an APC caucus of the house of representative which was held some weeks ago at Yardua centre. “Your Excellency, I found that meeting very revealing just listening to the quality of intervention made by new members yet to be inaugurated. “I am convinced sir, Nigerians have made a very wise choice in electing the members in the house of representatives. They demonstrated deep knowledge of the challenges that we face. They acknowledged the need to work together as a party. “I think they recognise that Nigeria realises that we have gone through some avoidable difficulties in managing your first term because we have what I can easily describe as a hostile leadership of the national assembly and there is no better evidence to this that. The fact that people elected o. The platform of our party even in the face of pronouncements of the Supreme Court that it is parties that win elections not candidates. “They were elected on the basis of our platform, they were beneficiaries of the party and when it suits them they decamped and turned us to a minority and created tension in the system, made it difficult to approve or even consider nominees from. “His Excellency for various positions delayed budget needlessly in order to make I. Implementation difficult and created all sorts of obstacles that you will think that the National Assembly was dominated by members of the opposition yet they were APC members. “For me sir, what I have found in life there is nothing wrong once you admit that you are human, kistakes are expected but it ca. Only become a problem if we repeat mistakes twise.